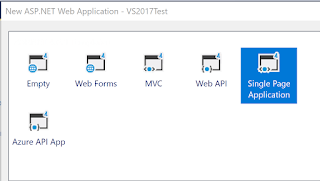 Mobile app options using Visual Studio 2017 Community. Android Studio 3.0 is the official Integrated Development environment (IDE) for Android app development. 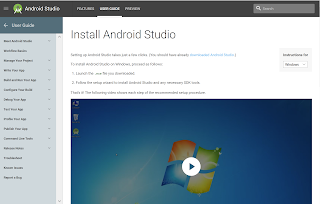 The installation is straight forward on Windows 10 as the installation program downloads all the necessary items during Android Studio installation. It is driven by a wizard which makes it very easy. Does your Windows 10 computer support Mixed reality? The computer I am using is a Dell Computer (a laptop, actually) with Intel Core I7 and it has a NVIDIA GeForce GTX card. Can I run Microsoft Mixed Reality on this laptop? I have 8GB installed RAM. It is a 64-bit OS with x64-based processor. The Intel i7-6700HQ CPU runs at 2.60 GHZ. The OS software is Windows 10 Pro Insider Preview, Version 1709. To check whether it can support Microsoft Mixed reality you should download an app that you can find in Microsoft Store shown here. Run the app and agree for the conditions. Looks like my NVIDIA GEFORCE GTX chip may not be adequate. I could try updating the drivers.